We’re seeing God for the first time. 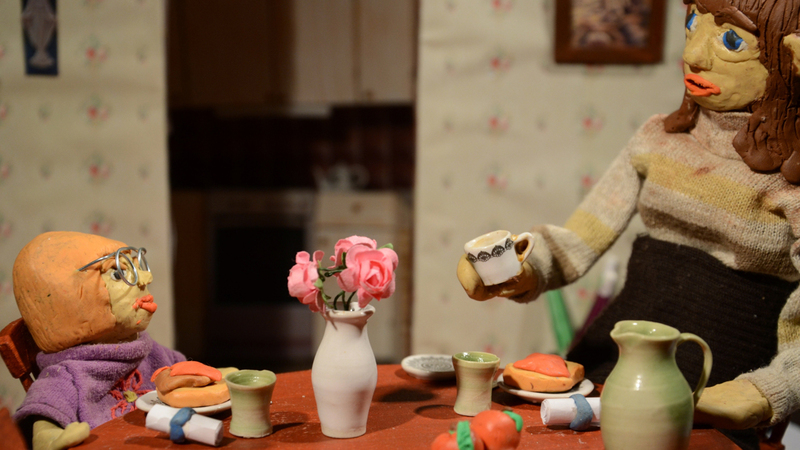 Let There be Light is mine and Karin Eklunds clay animation. What would happen if the child you adopted turned out to be God? How far are you willing to go for your God? How far are you willing to go for your child? The film has been shown in Bergen at our graduation exhibition 2014, at Höstutstillingen in Oslo 2014, during Nordic Ski World Championship in Falun 2015, at Bio Kontrast (Cinema Kontrast) in Leksand 2015 and at Liljevalchs vårutställning (Spring Salon) 2016. Anne and God at Breakfast.